Here is a little information about myself. I have been a Davis Dyslexia Correction® facilitator since 2003. 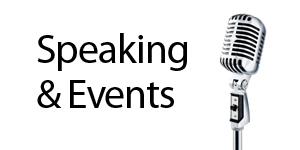 I spent 2 years in training with Davis Dyslexia Association International® (DDAI) and have worked with hundreds of clients. I graduated with a BS in Physical Education and Health Science from Loma Linda University. Education has always been my passion and I have a California Teaching Credential. I have been married for 26 years and have two girls ages 23 and 20. I grew up with dyslexia and had a very hard time in school. I began my journey to find some program that would help my oldest daughter when I saw that she was also dyslexic. My wife and I went down many different roads and spent lots of money on tutors etc. I was so thankful to finally find the Davis Method. My wife thought it was best if I went through the program before our daughter did since we had raised her hopes up many times. We didn’t want to put our daughter through another program that didn’t work for her. 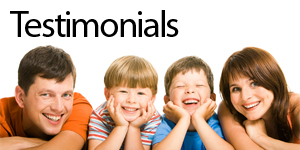 I was amazed at the results for myself, and I thought it would be very successful for my child. The results for our daughter were dramatic. I can’t tell you what a relief it was to have her so improved. The program enabled her to eliminate the confusion dyslexics often experience with reading, spelling, and math which brought her to grade level in a short amount of time. 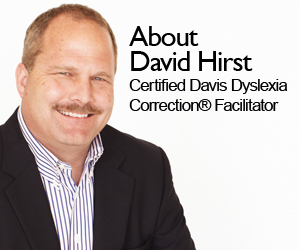 I realized the learning strategies developed by the DDAI could dramatically improve the academic success of a dyslexic child, and excited by our daughter’s improvement, I just had to become a Davis Dyslexia Correction®Program Facilitator! 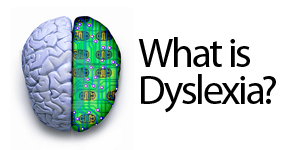 For more information about David Hirst, read My Journey Overcoming Dyslexia.